When he was a US prosecutor, Asa convicted Bill Clinton's brother, Roger Clinton, on drug charges in 1984, for which the president thanked him. 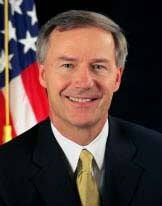 He served as Arkansas Republican Party Chairman from 1990 to 1995. While in the U.S. House he served on the Judiciary, Transportation, and Veteran's Affairs committees. After a short stint as DEA Administrator, Hutchinson was appointed Undersecretary for Border and Transportation Security for the newly-created Homeland Security Department. He was elected Governor of Arkansas in 2014.